Booth #4481 (co-exhibiting with Futura Automation) - Gecko Gripper, that uses millions of micro-scaled fibrillar stalks that adhere to a surface using powerful van der Waals forces — the same way that geckos climb. Established in 2015, OnRobot merged with Perception Robotics and OptoForce in 2018, followed by a recent acquisition of Purple Robotics. 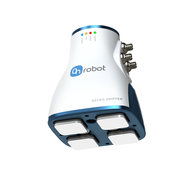 Now, the OnRobot product range features a wide assortment of robot equipment, including: electric grippers, force/torque sensors, gecko grippers, and tool changers. This new combination of offerings from OnRobot makes it quicker and simpler to automate tasks such as packaging, quality control, materials handling, machine operation, assembly, and welding. The company plans to grow through further acquisitions in the coming years. Headquartered in Odense, Denmark, OnRobot’s North American office is located in Dallas, TX. The company also has offices in Germany, China, Malaysia, and Hungary. ATX West will be the official launch pad for our two new collaborative grippers; the Gecko Gripper and the RG2-FT gripper now commercially available to end users in North America. It’s the hands-on demos and interactions with customers that really show the benefits and ease-of-use to our customers. Exhibiting at a large automation show like ATX attended by a significant share of our target audience is imperative to our growth and market traction. We kicked off the new year by shipping pre-orders of our newly-available Gecko Gripper, that uses millions of micro-scaled fibrillar stalks that adhere to a surface using powerful van der Waals forces — the same way that geckos climb. On display for the first time at the ATX Show, the Gecko Gripper lets robots pick up flat, smooth objects with significant energy savings over existing grippers such as vacuum grippers, which require compressed air that is costly, power-intensive, and bulky. The Gecko Gripper interfaces with any type of robot and can pay for itself in eight months in cost savings for electricity to compress air alone. Now being sold to manufacturing companies worldwide, the Gecko Grippers can affix to a wide range of surfaces including fragile items that vacuum grippers can’t handle. The Gecko Gripper also offers competitive advantages over electrostatic grippers, which are weaker and require high-voltage systems to operate. The unique gripper is now challenging traditional application and material handling design in a wide range of delicate tasks such as picking up porous and fragile objects like PCB boards. The Gecko Gripper excels at picking up objects with holes that vacuum grippers cannot address as they lose suction when air passes through openings in the object. In addition to the Gecko Gripper, we will have the RG2-FT on display at ATX, a new gripper now generally available to manufacturers around the world. 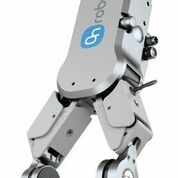 An update to OnRobot’s first edition, the RG2-FT now has built-in force/torque sensing, supporting work in piece detection and centering. With inbuilt 6 axis F/T and proximity laser sensors at the fingertips, the RG2-FT is the first intelligent gripper on the market that can see and feel objects, thus ensuring faster deployment of collaborative applications and ultimately higher productivity. The intelligent force feedback provided by the gripper’s sensors will also help operators in adjusting their applications for optimal design and positioning. We’re always excited to see our gripper exhibited at other ATX booths as well, handling a wide range of collaborative applications.